New to skiing? Let the Family Ski Company Help! If you have never skied or are returning to the slopes after a long break you probably have lots of questions about what to expect. 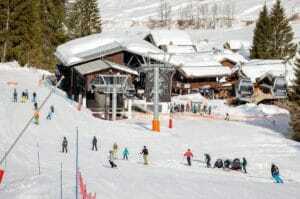 Many families are confused by the choice of ski equipment and how a ski holiday with a family actually works. With one resort team member to every four guests you will have plenty of knowledgeable support to help you make learning a real pleasure. 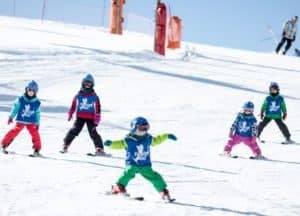 In addition the advice below is designed to answer the most general questions for parents skiing with children for the first time who may be beginners themselves. The recommendations on clothing refer to both children who ski and those who will be in full day care in Powder Pups. 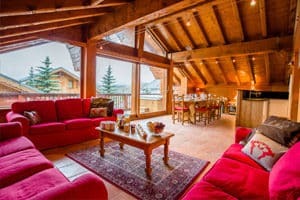 If you want to learn more about ski chalet holidays click here. You don’t need to spend a fortune, most ski jackets last several seasons and can be used for other activities. It is not just specialist shops that stock ski equipment you can find inexpensive winter sports clothing in many high street stores. Layering is definitely best. Skiing, especially when you are learning, is warm work so invest in thermal base layers, fleeces and a shell rather than a huge down jacket which will probably be too warm for all but the coldest days. Children are best in a jacket and sallopettes rather than one pieces. Although warm, one-pieces make toilet stops very difficult and can’t easily be used for other activities. The sun is fierce when reflected off the snow so good quality goggles and sunglasses are very important, (but again you don’t have to spend a fortune). 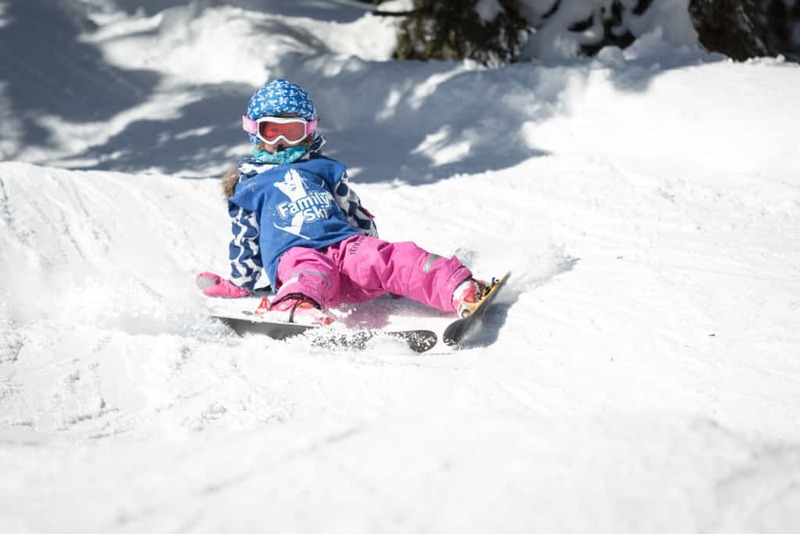 Goggles are best for children as they fit over their helmet securely whereas sunglasses will get pushed into the side of their head and provide little protection from wind or snow. 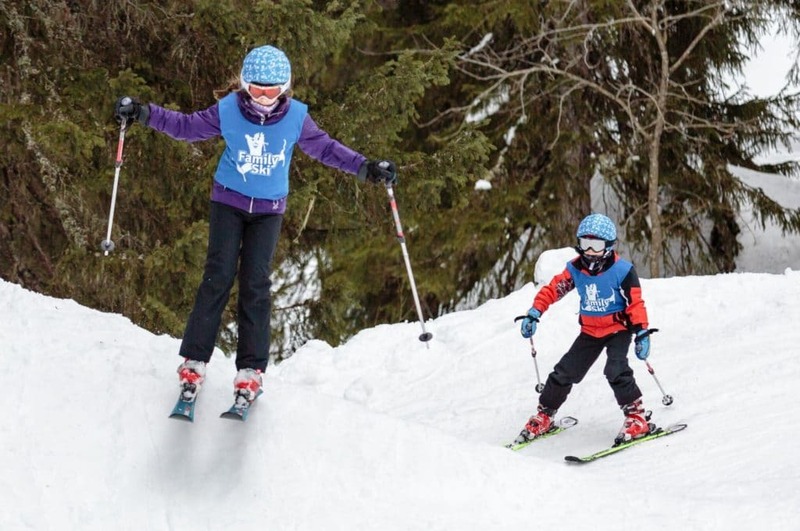 Non skiing children will only require sunglasses as goggles can steam up when a child is active but not skiing. Gloves are best for adults as they allow more movement but many children find mittens keep their hands warmer. Gloves or mittens get wet quickly so two pairs (one for ski school and one for outdoor activities in the afternoon) is a luxury that makes a real difference. Socks are important as they keep your feet warm and make boots more comfortable. Never wear two pairs of socks as this can cause blisters; tube socks are often uncomfortable as they fall down and wrinkle; instead opt for a well fitting pair of ski socks. It is worth buying the right type of socks as ski boots can be uncomfortable and are made much worse with ill fitting socks. Children will need boots suitable for the snow – this means a decent tread, warm and waterproof. Snow boots are best and not too expensive. Buy a high factor sunscreen and lip salve for the whole family to use while in the French Alps. This is much more expensive in resort and it is harder to get specific brands for sensitive skins. 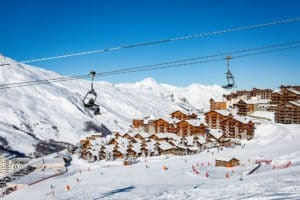 It is standard practice to rent skis, boots, poles and children’s helmets for the week; most skiers in Europe do this and rental skis are updated regularly so you will be hiring modern, reliable equipment. 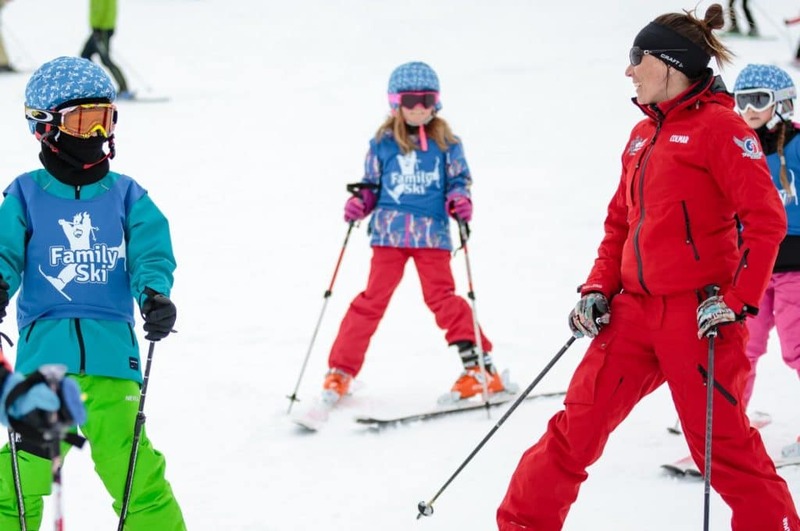 The most frequently asked question is how can a ski holiday work with a family? 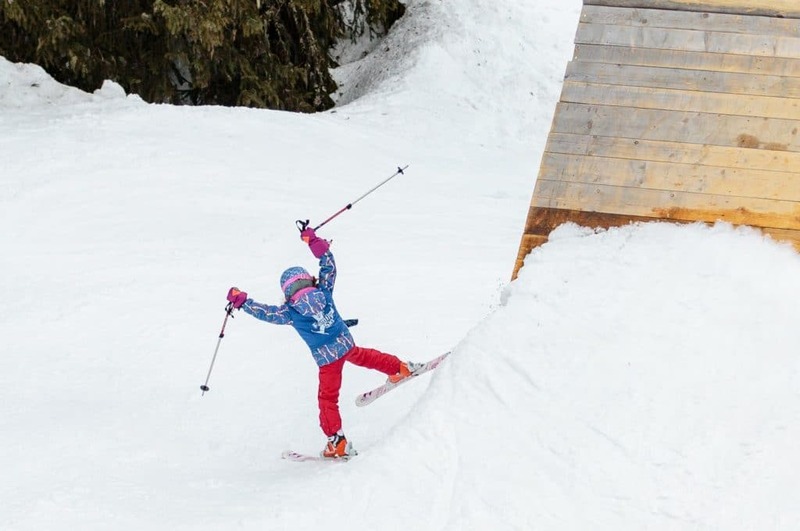 The answer is excellent childcare for infants from a few months up to teenage skiers. 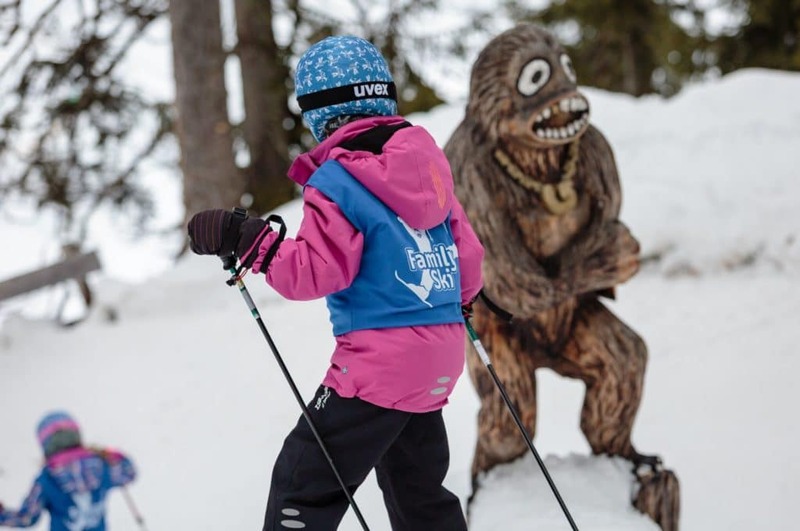 Childcare that you can rely on leaves you free to enjoy a full day on the mountain without rushing to collect children from morning ski lessons. To find out more please visit Our Childcare pages. Traveling with a family usually means lots of luggage or making do without your usual equipment. 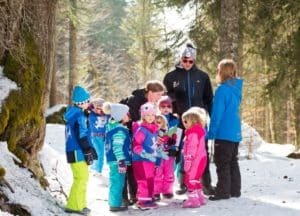 At Family Ski Company we provide everything you need for a ski holiday with babies and children. 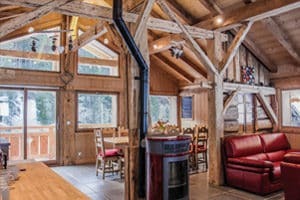 We have trained childcare nannies, childcare dens, cots, linen, high chairs, child seats, changing mats, towels, baby monitors, a healthy children’s menu and family rooms so you can relax and enjoy your winter break in the French Alps. You can even order a baby care pack including nappies and other bulky items to have ready for you in resort. 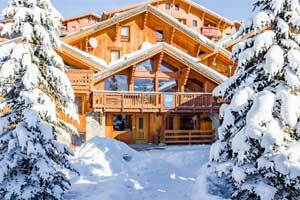 If you want to learn more about ski chalet holidays click here. We are always pleased to discuss your individual needs personally and invite you to call the Family Ski Company office on 01684 540 333 between 9.30 and 5.30 or email enquiries@familyski.co.uk. 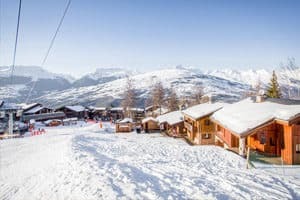 Many queries are best answered in person and the team can advise you on which resort, chalet, childcare programme and travel arrangements will best suit your family or group.